We invest in what matters most — our people. 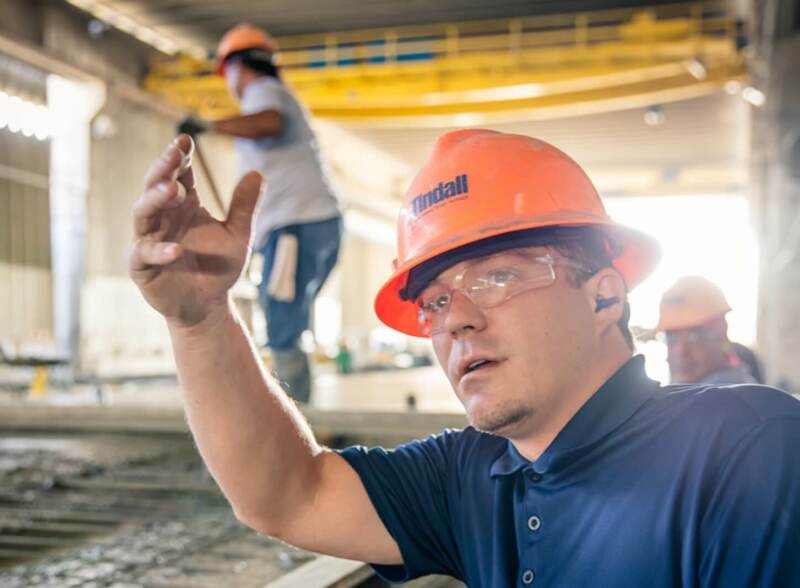 At Tindall, careers are more than just job opportunities. They’re a place to grow and invest your talent, integrity, and enthusiasm each and every day. If you like to turn challenges into solutions and dream big, we have a place to make that happen. Whether you’re just coming out of school or have years of experience, Tindall offers outstanding career opportunities that encourage every employee to learn, grow, and excel. That’s because we understand that when one of our team members succeeds, we all shine. Note: In addition to the Tindall careers listed above, we’re always seeking unique talent to fill roles. We encourage you to apply for any positions that fit your skills. There’s a reason people stay here. Tindall Corporation is a family — pure and simple. We look out for each other. Under the hard hats and concrete is a big-hearted organization that wants the best for each member, both professionally and personally. When there’s a need, we’re there with help and support. We celebrate each other’s wins, mourn each other’s losses, and have your back with whatever it takes to help you succeed. This is where leaders are made. Leaders never stop learning, and Tindall prides itself on promoting a company culture that brings out the best in employees of every level. One way that we accomplish this is through Tindall Coaching, a voluntary program designed for hourly and salaried staff. Here, employees meet with more senior team members to discuss personal growth objectives and strategies on a regular basis. In these informal meetings, Coaches help staff identify pathways to success and create plans for movingly confidently into the future. At Tindall, we want to keep our employees happy, healthy, and secure. That’s why we offer a number of competitive benefits to make sure they’re taken care of, both at work and away from the job. Below are just a few examples. For questions, feel free to contact the Human Resources Department. Tindall Corporation’s insurance benefits are designed to attract and retain employees by providing valuable coverage for health care, along with support during periods of crisis, such as disability. Employees are eligible for paid vacation based on length of continuous service with Tindall. Diversity makes our company stronger. It’s about inclusion, respect, and the value of combined intellect. Candidates that require assistive technology or need assistance navigating our site can request assistance by contacting KellyScheib@tindallcorp.com. Only inquiries related to accommodation requests will be answered.